Re-roofing or repairing your Bel Air MD roof can be a hassle. The first step is choosing a contractor, and this can be the most difficult one. At DryTech Roofing we try to make your decision easier by partnering with GAF to offer the highest quality roofing materials available. 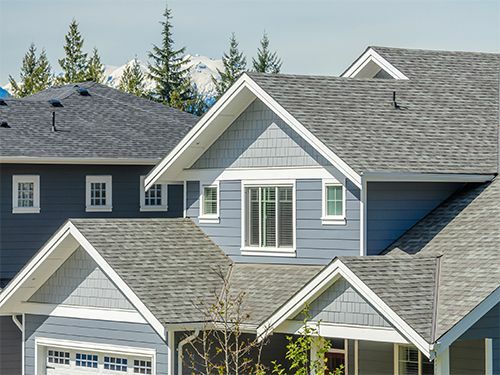 This partnership also means that our staff of Bel Air MD roofers is factory-trained in all the latest advances in roofing materials and installation techniques. Through our dedication to customer service and the dependable installation of their products, DryTech Roofing has earned the status of being a GAF MasterElite Roofer. Only the top 3% of roofing companies in the nation can claim this status, which means DryTech Roofing is the smart choice in the Bel Air MD roofing industry. DryTech Roofing has a BBB rating of A+, meaning we have a stellar record for excellence in customer service. Few other Bel Air roofing companies can claim such a high rating. DryTech Roofing installs James Hardie fiber cement siding, some of the best in the business. Installation of fiber cement siding can dramatically decrease your energy costs. We are certified by GAF and are able to provide our clients with their unparalleled roofing materials and warranties. Our status as a MasterElite roofer is something we work hard to maintain. At DryTech Roofing, we believe that, even when you hire us, we have to EARN your business. That means working until you are completely satisfied and not receiving final payment until your dream roof, siding, or windows are a functional reality. This is just another reason that DryTech Roofing is the roofing contractor Bel Air MD residents can count on for honesty and integrity in their work. Have an aging or leaking roof? Don’t want to keep climbing up there and patching cracks, just to have them reopen? Contact Drytech Roofing, Bel Air MD, and leave the roofing to us. Call (240) 491-5600 for a FREE Estimate on your next Bel Air MD roofing project!